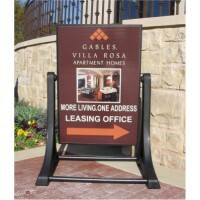 Our famous sidewalk sign uses a single 10 mil coroplast face. The graphics are digital print vinyl on the coroplast sign face. The graphics are on both sides. Choose a white or black background color. 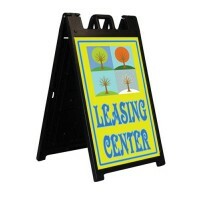 We offer two sizes of the sidewalk sign faces: 24" x 36" and larger 29" x 45". 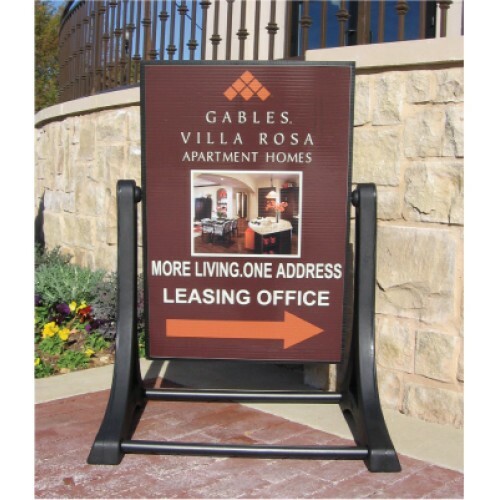 Choose the size based upon your sign base.